Missouri has a long history of crafting the items that made the American West. The state is famous for having produced Western goods from Stetson hats to corncob pipes. As Gateway to the West, St. Louis was the last place on the frontier that mountain men, pioneers and later settlers stopped before heading into unfamiliar territory with their hopes, dreams and a flatboat full of supplies from the makers and merchants of one of the last cities of the East and first cities of the West—St. Louis. Knife and hardware purveyor Henry Shaw accumulated such a fortune supplying the westbound multitudes he was able to retire as a young man and pursue his passion for plants, establishing what would become the Missouri Botanical Garden. St. Louis grew to have one of the nation’s biggest garment industries outside of New York and a shoe manufacturing center unrivaled in America. Visitors can see the modern lofts, retail, restaurants and the eccentric City Museum that now live in the buildings that once housed shoe warehouses, shirt manufacturers and hat makers. The tradition of handcrafted goods continues in modern-day St. Louis with artisans using their skills to make everything from art glass and shoes to chocolates and soaps. Visitors can bring home something from their stay in St. Louis that friends and family will actually love. 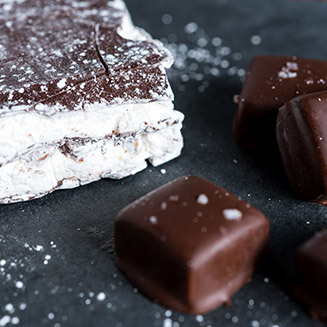 This sweet tradition of creating handcrafted confections from original recipes dating back to the Empress Josephine (who loved Bissinger’s caramels) continues in the Central West End neighborhood stores. Chocolate lovers can taste, sip and savor the famous chocolates that are shipped from St. Louis to fans across the globe in a café setting. Visitors can even tour the historic chocolate factory, located at 1600 N. Broadway in downtown St. Louis. At Kakao Chocolates, modern tastes are satisfied with creative candies made in St. Louis and hand-dipped using all-natural ingredients. Popular items include barks, sea-salt caramels, chocolate-covered fruits and even a chocolate-based grill rub for adventurous chefs. Kakao’s storefronts are found in the Maplewood and Clayton neighborhoods. 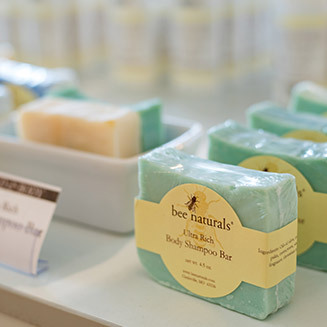 The “buzz” at this Maplewood neighborhood business is all about natural, healing products including creams, lotions, makeups and baby products. The creator of small-batch products is dedicated to using only the finest ingredients to help Bee Naturals customers heal and enjoy a healthy beauty lifestyle. At Herbaria, located in The Hill neighborhood, artisans make more than 60 kinds of all-natural scent-intense and vegan soaps in a facility visitors can tour any time. Glass isn’t something you just look through or drink from at this St. Louis business. 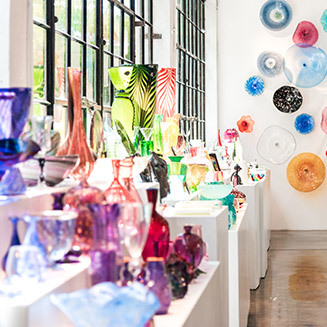 Driven by a passion for the art of creating beautiful, one-of-a-kind art pieces using traditional glass-blowing methods, this studio invites guests to play with fire (safely, of course). 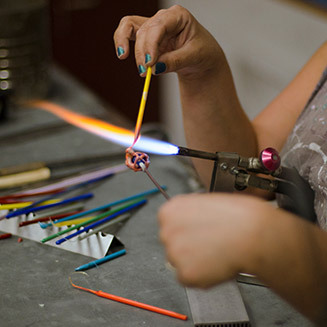 Visitors can watch the artists create beautiful objects or learn about the glass arts while creating their own designs. No time for a class? Check the calendar for free, monthly Third Friday events that feature demonstrations and music. 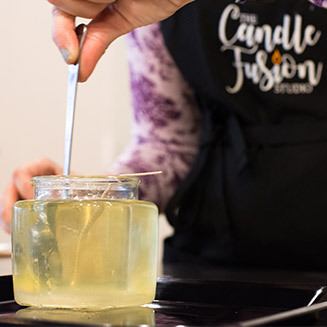 There is fun to burn in this Central West End neighborhood business where the art of candlemaking is combined with the fun of creating a unique scent by hand. Using all-soy ingredients, visitors can design their own signature-scented candles from more than 100 fragrances that can be mixed for use in their homes or as a souvenir everyone will love. Visitors can indulge their artistic side with a schedule of classes and camps designed for those of all skill levels. For those in St. Louis for a short time, one-day workshops are available in a variety of media such as clay, metal, paints and fabric. Make jewelry, work with glass or learn printmaking to take home new skills along with a souvenir from this Loop neighborhood institution. The artists displayed at Componere Gallery in The Loop have created works that make wonderful souvenirs. Sculpture, photography, clothing, drawings, paintings and ceramics by St. Louis and regional artists can go home with visitors to serve as a creative memory. Put on an apron and bake or decorate your way into a deliciously different activity during a St. Louis visit. At Companion Bakery, guests can watch the bread products and pastries being made through the panoramic glass windows onto the bakery floor while enjoying their breakfast or lunch. Or they can take part in regularly scheduled bread-making classes at Companion Teaching Kitchens that teach new skills to take home. At Sweetology, cookies, cupcakes and whole cakes are the focus. 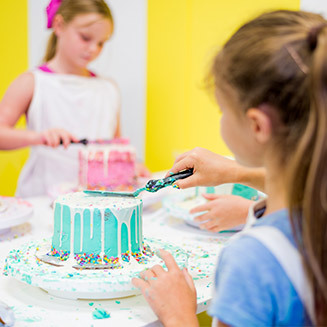 Visitors can craft and decorate their own sweets while learning more about the baking and design process. Discover more fun itineraries for your St. Louis getaway.